Karibu Tanzania, pack your baggage and join this exciting 9-day safari holiday in Tanzania! During this safari, you will go on extensive game drives in Tarangire National park, Serengeti National Park and Ngorongoro Crater you will have the opportunity to spot wildlife in their natural habitat and explore the magnificent Tanzanian national parks. On top you will be able to visit lake Natron for Flamingos spotting, lake Eyasi for cultural tour and refresh by swimming in beautiful hot springs nested at base of Kilimanjaro. Tarangire national park is referred as playground of Elephant but also known as home of Buffalo, Lions, Wildebeests, Zebra, and Gazelle in dry season. Also along the shore of lake Barungi attract a lot of mammals for water and various bird species like Kingfisher, Hoopoes and White Bellied bird, Tarangire noted for rolling Savannah, acacia woodland, and splendid baobab. Today after breakfast you will start 4 hours drive to Serengeti national park, we will break for picnic lunch at Naabi gate before enter to the park for game drive until sunset, Heading to our lodge/campsite at center of Serengeti for dinner and overnight. Today we have fully day in most beautiful park in the world after breakfast we will start our game drive and late afternoon we will stop for picnic lunch continue with game drive before back to our lodge/ campsite for diner and overnight. Serengeti is really special sights, sound, and smell of Africa with stunning scenery, ever changing light and entertaining wildlife. In this park the animal don’t walk to any schedule so we may find Lions, Leopard, Elephant, Zebra, Cheetah, Antelope, Gazelle, Hippos and many species of birds and reptiles during our game drive. The Ngorongoro Crater is a World Heritage Site and better known as the “Eighth Wonder of the World”. It is the world’s largest intact volcanic caldera. The 2000 feet high walls of the approximately 10 mile wide crater create a natural amphitheater for the densest populations of large animals anywhere.The rich soils and abundant, year-round water provide an idea habitat for a variety of approximately 22,000 large animals. Herbivores that you will likely encounter include Elephant, Black Rhino, Hippo, Buffalo, Eland, Zebra, Wildebeest, hartebeest, Water buck, Warthog, Grant’s Gazelle and Thomson’s Gazelle. Giraffe, Impala and Topi are strangely absent from the Crater floor. Primates include Baboons and Vervet Monkeys. Carnivores that you will likely encounter include Lion, Cheetah, Hyena and Jackal. Leopards, Servals, bat eared Foxes and Ratels are also resident within the Crater but much more elusive. After breakfast you will drive to Engaruka village with picnic lunch for visit local irrigation for plantation farms including maize, onions, potatoes, bananas etc. You will also have an opportunity to visit the remnants of the ruined city of Engaruka. our safari guide will help you to identify old graves, house walls and explain the various theories about the rise and fall of the farming community. 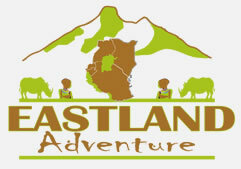 En-route you can enjoy the colorful birds and butterflies and visit Maasai slaughterhouse. After these activities then drive to your lodge/ campsite for overnight. Today early in the morning we will start driving to lake Eyasi to visit Hadzabe and Datoga tribe and join them in their daily activities. Take a journey into the “Gods must be crazy” movie. The Hadzabe tribe of Tanzania is the last true nomads of Africa, this tribe is one of the earliest humans’ inhabitants of Ngorongoro area, they believed to have lived in the area over 10,000 years and currently live near Lake Eyasi, they speak click language and they are not warrior tribes. You will join the men as they hunt for their daily subsidence using traditional bow and arrows, or join the women as they forage for fruits and berries. This is not a show or a “tourist put on”. This is the real true African cultural experience. We will pick you up from your hotel in Moshi and drive in Moshi /Arusha highway for 40 minutes before divert to small town called Boma Ng’ombe we take dust road and drive for about 30 -45 minutes through the local villages you will cross various green vegetation supported by irrigation from the various streams channel also the village decorated with various beautiful baobab trees with unique features. Once you arrive at Rundugai village you will sign in the village guest book and get briefing of the village. After you will meet your local guide who will take you to Maasai village for tour, as soon you arrive at the Maasai village you will be welcome by the great songs from Maasai women and you will be directed where to seat, at this moment your local guide will explain in details about Maasai culture also you will be able to dance, visiting they are houses as well as taking picture with them. After all enjoyment and excitement you will back to your car where we will drive to other local places in the village to enjoy your local lunch in African style. After lunch we will drive you to hot spring for refreshing and start enjoying most of the time here spent on swimming and rest on the mattress have nap then get back swimming till your body says yes it’s enough then get inn the vehicle start driving back to your hotel in Moshi/Arusha.